Bayswater in central London boasts both Hyde Park and Paddington on its doorstep and desirable neighbours in Notting Hill and Marble arch. Historically dominated by big hotels and tourists making the most of its central location, Bayswater is changing rapidly with regeneration making it a viable option for those who want period properties at a decent price whether its to rent a flat or buy a house. Bayswater boasts quiet residential streets, grand stucco buildings, good shopping, great transport links and easy access to open space. Read our Bayswater area guide to find out more. Shopping in Bayswater is dominated by the Whiteleys Shopping Centre on Queensway. 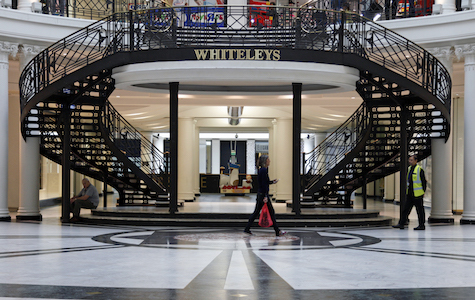 Whiteleys was London’s first department store in the 1860s and these days it is a busy shopping centre with many high street brands such as M&S and Zara. 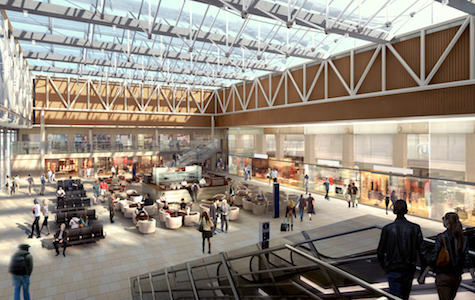 It also boasts plenty of food outlets and cafes, an Odeon cinema and its own All Star Lanes bowling alley. For upmarket, exclusive shopping and dining, head to what’s known as ‘Connaught Village’ on Connaught Street in the heart of Bayswater. Just a short stroll from Hyde Park, Connaught Village offers an exclusive mix of independent retailers, award winning restaurants, art galleries and leading designer boutiques. 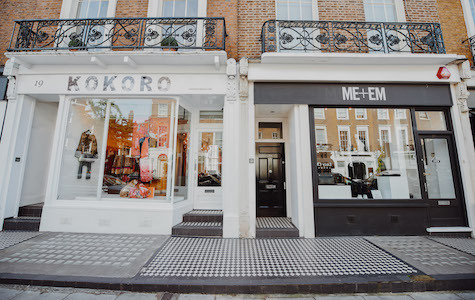 Our favourites include Cocomaya, chocolatier and bakery, Kokuro and Me+Em clothing boutiques. Paddington Station is one of London’s busiest railway stations and as such has a huge variety of shops, cafes and restaurants located inside the station and in the streets around it. One of the many gift shops is the Paddington Bear shop, specialising in Paddington Bear books, toys, collectables and games.